Sampson, the lovable mini dachshund. I have the most exciting news to tell you! 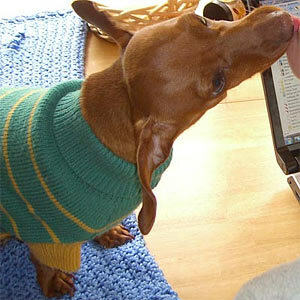 Yesterday, as I always do, I logged onto Facebook to check on My Mini Dachshund page. I looked in the upper left hand corner and noticed that I had a ‘friend request’. Now, mind you, being as popular as I am, of course, I have many human friends on Facebook. So imagine my surprise when I clicked on the request and there she was staring at me from cyberspace. The most stunning creature my eyes have ever beheld, Izzy, that’s her name. She is the most beautiful dark haired Dachshund I have ever seen. And best of all, she wanted to be my ‘friend’. 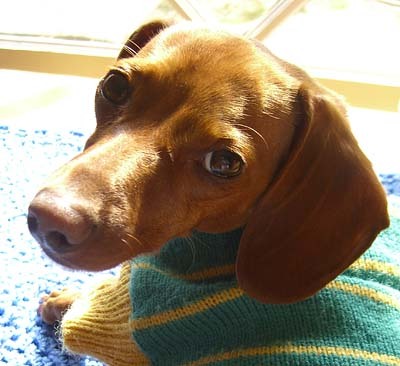 It will be so nice to have a friend to speak with who knows how to speak Dachshund. I love my Mommy and Pop Pops but sometimes they just don’t ‘get it.’ For example, every time I dance at the back door, they think it means I have to go potty. Really….every time? They must think I have a weak bladder or something. 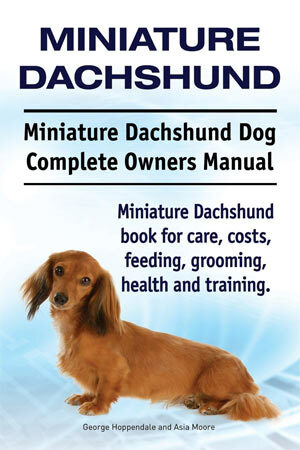 You would think that by now, they would’ve figured out my various mini Dachshund whines, whistles, growls and barks. The other day, I walked up to Mommy, whined, and looked at her waiting for her response. The next thing that happened probably happens about 90% of the time when I whine. She picked me up! Not that I mind getting picked up, don’t get me wrong. But I was only reminding her to put the Netflix in the mailbox! Stay tuned to read more about my developing friendship with Izzy.